Take the stress and worry out of your move interstate and get in touch with Australian Container Removals Adelaide for the best shipping container removals services in Adelaide. We have over 20 years experience in shipping container logistics and here to help you each step of the way. Our experienced interstate removalists will provide you with a 20’ or 40’ foot shipping container for hire in Adelaide. We’ll get you to self pack the container at your own pace. Once the contaner is loaded and ready to go, our removalists will transport it to your new location interstate, Australia wide. All you need to do then is unload your furniture and household items and we’ll transport the empty shipping container back to our depot. It couldn’t be easier! Self move from or to areas in South Australia including: Aldinga, Ashton, Bellevue Heights, Birdwood, Bridge Water, Clarence Gardens, Croydon, Dorset Vale, Elizabeth, Evanston, Forestville, Fulham, Gawler, Glenelg, Hyde Park, Hawthorn, Inglewood, Kensington, Kings Park, Lynton, Maylands, Mount Barker, Modbury, Para Hills, Penfiled, Reynella, Salisbury, Seacliff, Stirling, Torrens Park, Victor Harbour, Willunga, Woodville, Wynn Vale and more. Australian Container Removals Adelaide makes moving from or to Adelaide interstate a smooth and hassle free process. For an efficient and professional shipping container hire and removals service in Adelaide, call us on 1300 857 851. You can contact us seven days a week or contact us online. Our friendly and experienced staff are here to take your call and queries and make your move Interstate easy and cost effective. We guide you through the entire Interstate Removal process from start to finish keeping you informed during the whole process. 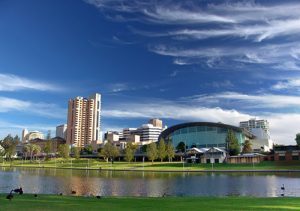 Save over 50% from a Traditional Moving Interstate Removal Service from Adelaide. Self Pack a Container and Save Loads! !